Come to Miss Granite Worktops for your Quartz and Granite worktops. CRL Quartz, Caesarstone, Silestone®, Sensa and Dekton by Cosentino®, iStone Granite, & more. Beautiful Quartz – dazzling, colourful, magical. Imagine your worktops gleaming in the sunshine, with small additions of metallic flecks or glass catching the sun’s rays. Natural Quartz is one of the hardest minerals found on the earth & is made up of around 90% quartz with resin or glass added. This gives it a beautiful finish in a variety of colours, as well as making it extraordinarily durable and resilient with a consistent quality. 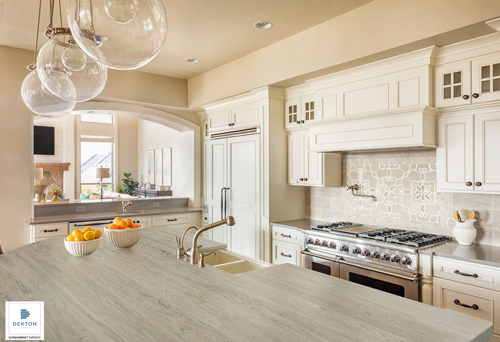 Quartz combines beauty and outstanding quality, so whether you opt for CRL, Silestone, Ceasarstone, BQS from Beltrami, or International Stones' IQ range of quartz, you can be sure you are choosing a stunning design and excellent durability. All these quartz products come with manufacturers' warranties, (subject to their t & cs). The perfect surface for Kitchen worktops, upstands and backsplashes. Other perfect advantages are that quartz worktops are heat and stain resistant to wine, coffee, olive oil, vinegar & makeup, to name but a few. They are non-porous, and the texture of quartz does not permit bacteria to grow. Unlike wood, quartz worktops do not need to be sealed against moisture. Hygienic and clean! So as well as offering great performance advantages, having quartz for your kitchen worktops will bring class and character to your home in the form of eye-catching patterns and colours. Due to CRL Quartz’s technical characteristics, it is extremely durable and highly resistant to knocks and impacts, making it ideal for surfaces both indoor and outdoor. CRL Quartz is also heat resistant and when exposed to high temperatures, does not give off smoke or toxic substances. 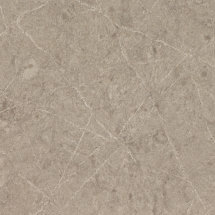 See our samples of CRL Quartz. CRL Quartz is not affected by products like detergents, bleach, oil citrus juice, etc. provided that the stains are cleaned away within 24 hours. 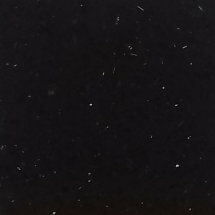 Ideal for any kitchen work surface, this quartz is really easy to maintain - just warm water and mild cleaning products. Really perfect in busy households. Due to it being a non-porous surface, the build-up of mould or bacteria is prevented. This is perfect for food being placed in direct contact with it. 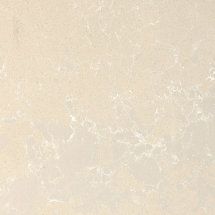 Caesarstone contains up to 93% Quartz and comes in a stunning range of colours and designs to suit all tastes. It is impervious to stains, scratches and cracks, and is highly heat & cold resistant. As Caesarstone is highly durable, it is virtually able to withstand anything, so it is the perfect solution for luxury kitchen worktops. With its ingenious qualities, quartz is able to be designed into curves or shapes, thus completing your dream kitchen and bringing your dreams to life. See our Caesarstone samples..
Ceasarstone just needs a simple wipe clean with a cloth and regular detergent - no sealing, treating, or any other kind of maintanence - just perfect! Take a look at Caesarstone's Visualiser Page. 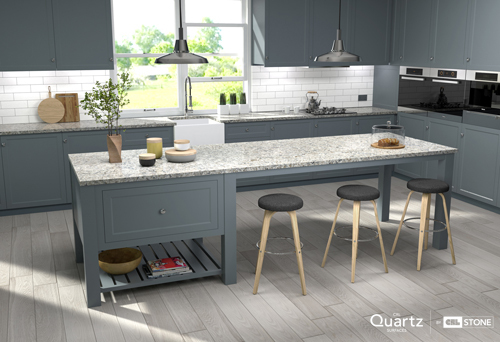 Here, you'll be able to find out just how your favourite quartz will look as kitchen worktops with differing coloured cabinets and flooring. You can mix and match and get a more exact idea of how you'd like your dream kitchen to look, before you order from us. 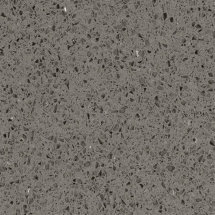 Silestone is a compound made up of 90% natural quartz, which makes it extremely hard and resilient. It is the perfect surface for kitchen worktops, floors and wall cladding and uses the minimum number of joints. With over 90 colours to choose from, you'll be spoilt for choice. There are three different textures to combine - polished, suede and volcano - so you can imagine the combinations you can choose for your kitchen projects. Silestone is non-porous and is highly resistant to staining from lots of every-day products including coffee, olive oil, vinegar, lemon and makeup. Silestone have a revolutionary technology called N-BOOST that improves the DNA of their surfaces. This innovation prevents the adhesion of liquids, intensifies colour and enhances shine. N-BOOST repels any type of liquid and the hydro-repellent properties prevent the absorption of everyday liquids used in kitchens, making for perfection in terms of kichen work surfaces, with easy cleaning and stain removal, even days after spillage. N-BOOST creates a more even surface which causes light to reflect off it more intensely. Silestone products include the most demanding quality controls, and they have been fitted in thousands of kitchens in more than 52 countries worldwide. 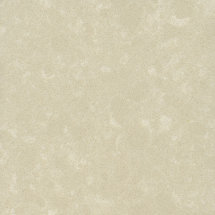 See here for our samples of Silestone. This is made from a high-tech process which represents an accelerated version of the metamorphic change that natural stone undergoes when subjected to high temperatures & pressure over thousands of years. See below for more info. Dekton is even more resistant to abrasion than granite making it the ideal surface for commercial applications, kitchen work surfaces & high traffic areas such as flooring. While the slip of a knife won’t damage Dekton, cutting boards are still recommended to protect your household utensils. Dekton withstands high temperatures without burning, cracking or scorching. Hot Pots can be placed directly on the surface with no worry of damage. While other surfaces are stain resistant, Dekton is completely Stain Proof. Even the most stubborn stains like wine, coffee and rust can easily be removed from the surface. 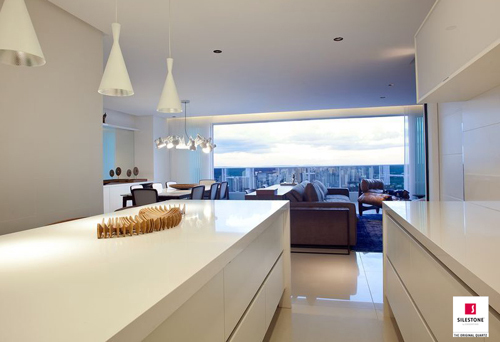 Since Dekton has extremely low porosity and contains no resins, it is chemically resistant. Drips or splashes of common household chemicals like bleach won’t harm Dekton. Dekton’s low coefficient of thermal expansion makes it Thermal Shock proof from both extreme cold & extreme heat. Its natural resistance to ice and thawing makes it perfect for use in even the coldest environments. Dekton is highly resistant to ultra violet (UV) light & will not fade or degrade over time, thus making it perfect for both indoor and outdoor applications. While other surfaces will show wear over time, Dekton’s finish will last for the life of the product and never needs to be re-surfaced or re-finished. Dekton uses exclusive Sinterized Particle Technology. This is a high-tech process which represents an accelerated version of the metamorphic change that natural stone undergoes when subjected to high temperatures & pressure over thousands of years. This evolution represents a technological and industrial leap capable of generating a new process, a revolutionary material and a leading product. Dekton has virtually zero porosity, (a consequence of the sinterization and ultra-compaction process used) and a lack of micro-defects that cause weak spots or tension. Dekton would not be possible without this special concept of ultra-compaction, allowing Cosentino to produce surfaces of a size & thickness that was previously unimaginable, yet still ensuring extreme levels of performance. Ultra-compaction is responsible for the material's mechanical properties. This level of compaction contributes significantly to the material's low porosity, making it a low-maintenance, long-life product. In the development of Dekton, firstly the raw materials are sinterized using basic components to oversee the whole process and the characteristics of the particles used in the manufacturing process. Dekton is the perfect solution for all kitchen worktops. Granite gives a classic look that is extremely hard-wearing and resilient. It's unique and beautiful and your worktop will definitely be one of luxury. 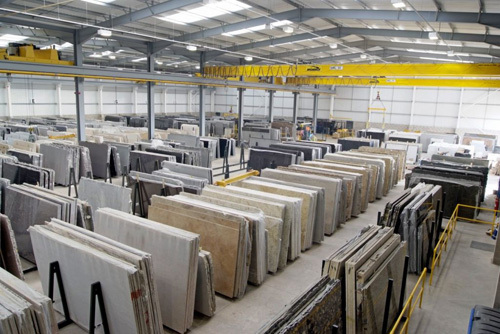 Why not visit one of the warehouses to choose your own slab? They have a huge selection of granite and quartz. It really is essential to view the whole slab if you are planning to have granite worktops as each slab is unique and you cannot get the whole effect by looking at a sample. Call us to book in an appointment. 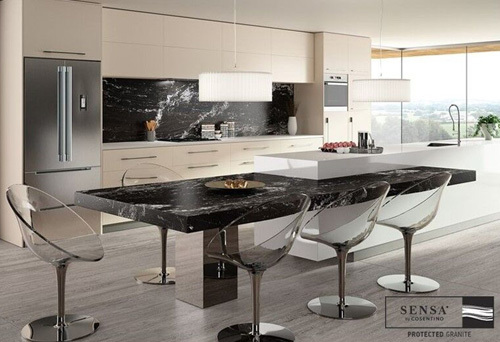 Sensa by Cosentino® is an exclusive collection of excellent-quality granite surfaces with a 15-year warranty. During the manufacturing process, each slab receives a revolutionary treatment which is a protection against many common kitchen stains. This protection ensures that your Sensa by Cosentino® countertop will stay beautiful for years with minimal maintenance. Unlike most granites which require annual sealing, you need not apply any treatment to protect your Sensa granite kitchen work surface and it is really easy to keep clean with needing just water and a mild detergent. Sensa by Cosentino® granites are extracted mainly from Brazil, except certain materials that are exclusive to other countries. Each slab is exotic and unique, having been carefully extracted using modern equipment to obtain the best quality stone. As granite is a natural stone, its colours and veins vary in every single slab. As you can imagine, this beauty makes every kitchen countertop one of a kind. If choosing granite, bear in mind that samples on display in stores are unique in themselves and will not be an exact match of the end product to be fitted in your kitchen. Slabs vary in veins, tone, saturation, nuances and particle structure. Cracks, marks and impurities are natural in granite, and are not deemed to be faults as they are unique characteristics of stone. Granite is the ultimate choice of material for your kitchen work surfaces. As natural rock, it is cut in its natural state and polished. Each piece is beautiful and unique, with every section varying in colour and pattern, so if it's a random design you're after, granite is definitely for you. Our granite comes from several suppliers, one of which is International Stones, who supply a wide range of quality granite to suit any kitchen. Granite is heat, stain and UV resistant although care will need to be taken as with any work surface such as putting hot pans onto trivets and not directly onto the granite. 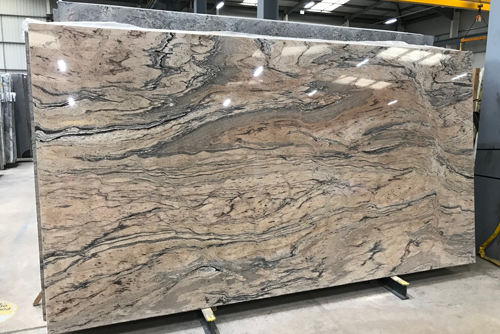 We encourage customers to visit Beltrami warehouse (in the West Midlands) or International Stones (in Sheffield) if you are choosing granite for your kitchen worktops, as each slab is different, and will look unique in your kitchen, so you can judge just how it will look on a worktop or island. Just call us and we can book you in. All granite comes sealed when fabricated and depending on the granite selected and where it is being installed i.e. a bar or restaurant where it is getting lots of use, or a private dwelling with less use, it might never need sealing again, or could do every so many years. We can always advise you on this. To clean I-Stone granite & to help keep its shine, just use warm water and soap. It is very easy to keep clean and is ideal for buy households where time and ease is of the essence. *For the 25 year iStone stain-proof protection warranty to be applicable, your granite worktops will need to be treated with a coating that is applied by professionals for an additional charge once your worktops are fitted (which we arrange).